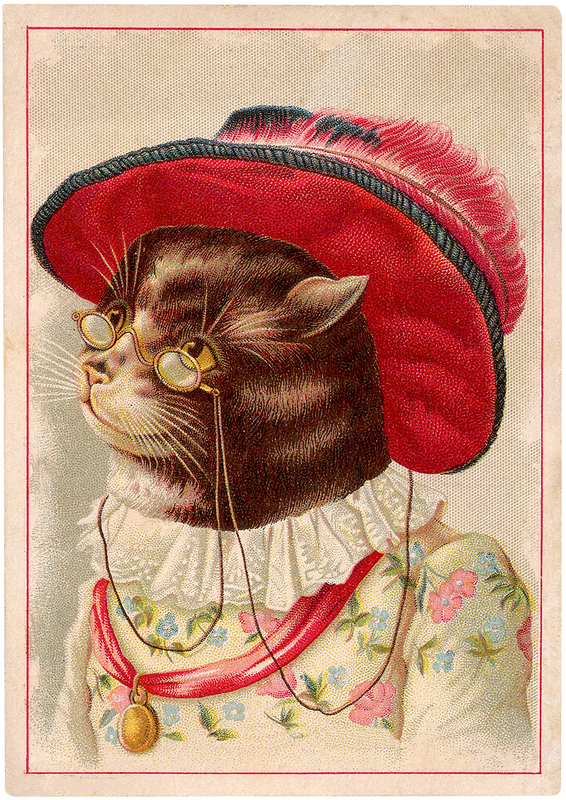 Today I’m sharing this Charming Vintage Cat in Feathered Hat Trade Card Graphic! In this precious image, a cat wears a fancy floral dress and a large red hat with feather. She is wearing Victorian lorgnette Eye Glasses on a chain and a lovely gold locket pendant on a red ribbon. 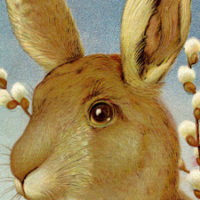 It would make a cute invitation or journal page or nice to use in your Craft or Collage Projects! « Beautiful Free Printable Journal Covers with Garden Theme! Actually, when we were kids we had a cat that my sister dressed and took downtown for a city event. Too bad we had no tiny hat!